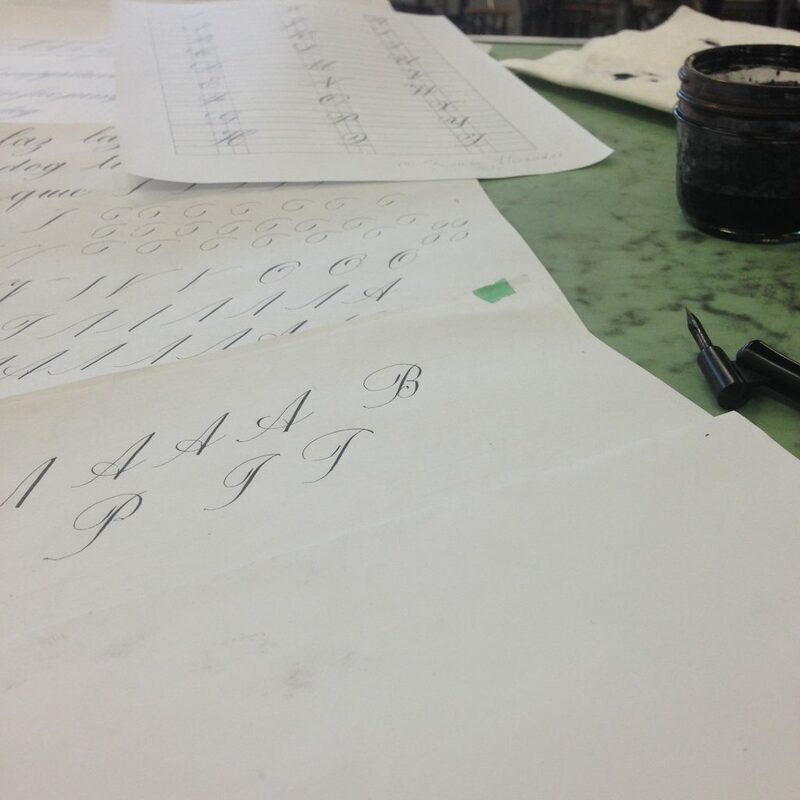 Recently, I had the opportunity to take a class in copperplate calligraphy taught by professional lettering artist, Renée Alexander, at Emily Carr University. It was pretty great! 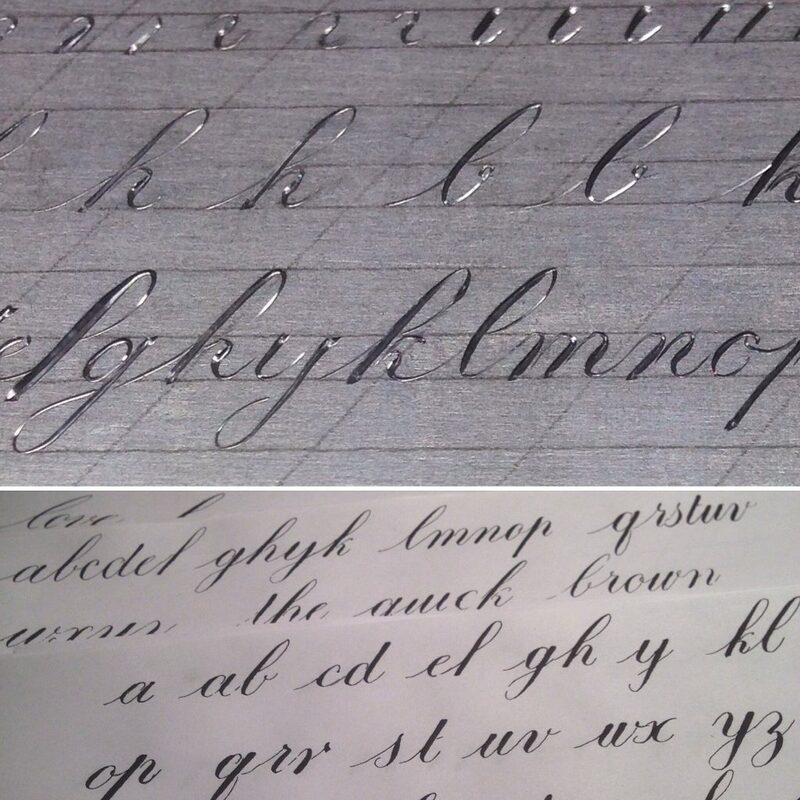 Copperplate calligraphy is the original engraver’s script; every line is informed by the tools that were used at the time- the same tools I use today. One of the more interesting things I learned about is the relationship between writing (left brain) and art (right brain). 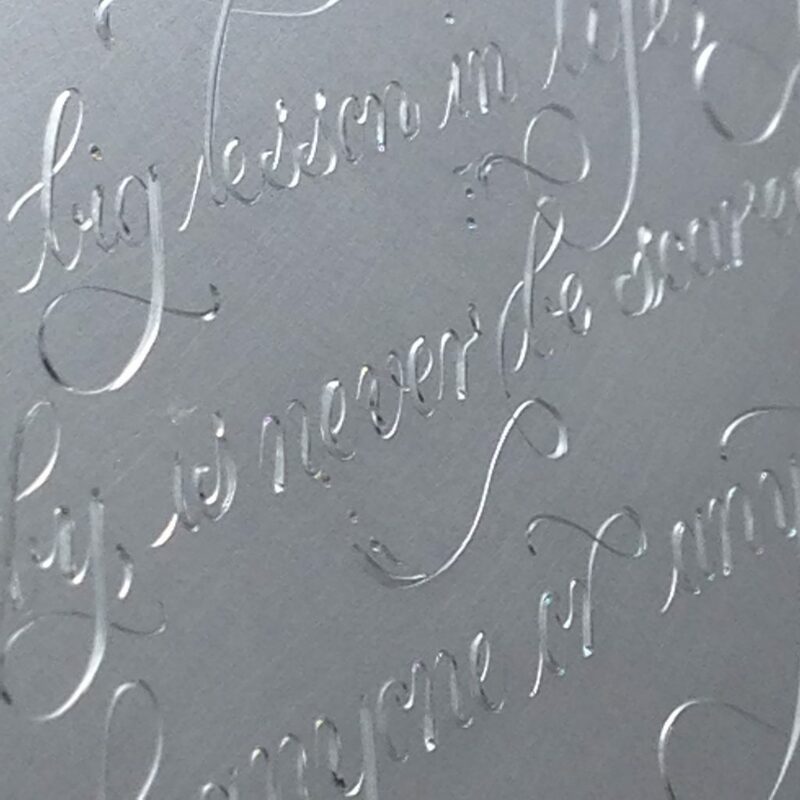 Letterforms can be drawn into pretty shapes, but they also have to say something! 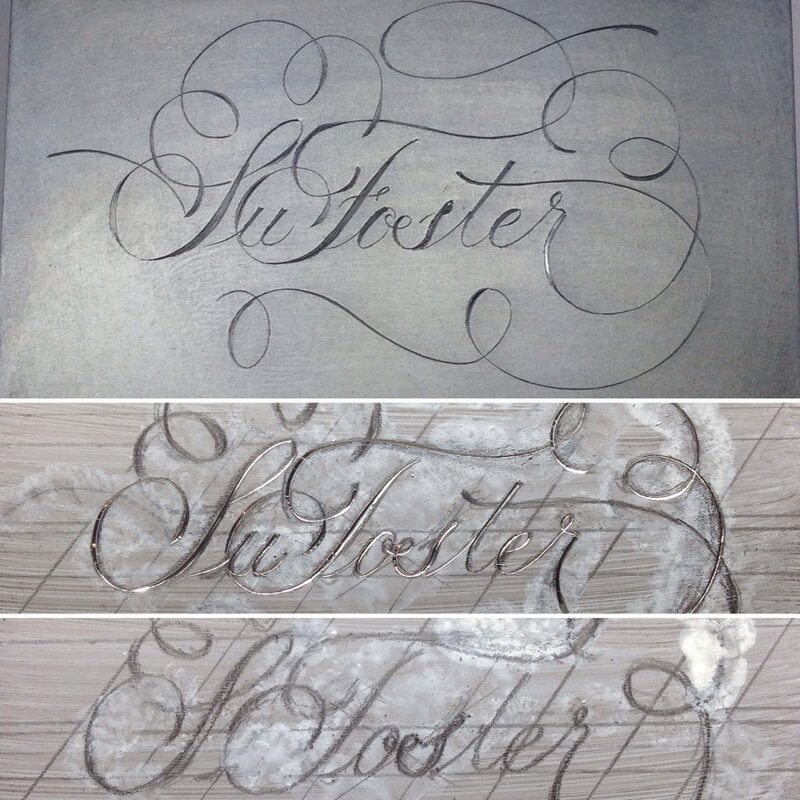 Calligraphers make a lot of spelling mistakes because they are often more focused on the task of perfecting letter shapes rather than spelling actual words. Historically, scribes would work in quiet rooms called ‘scriptoriums’; silence being key to accomplishing precise lettering tasks. I wish I could have a scriptorium. Where is my scriptorium? Practicing with a pointed pen. 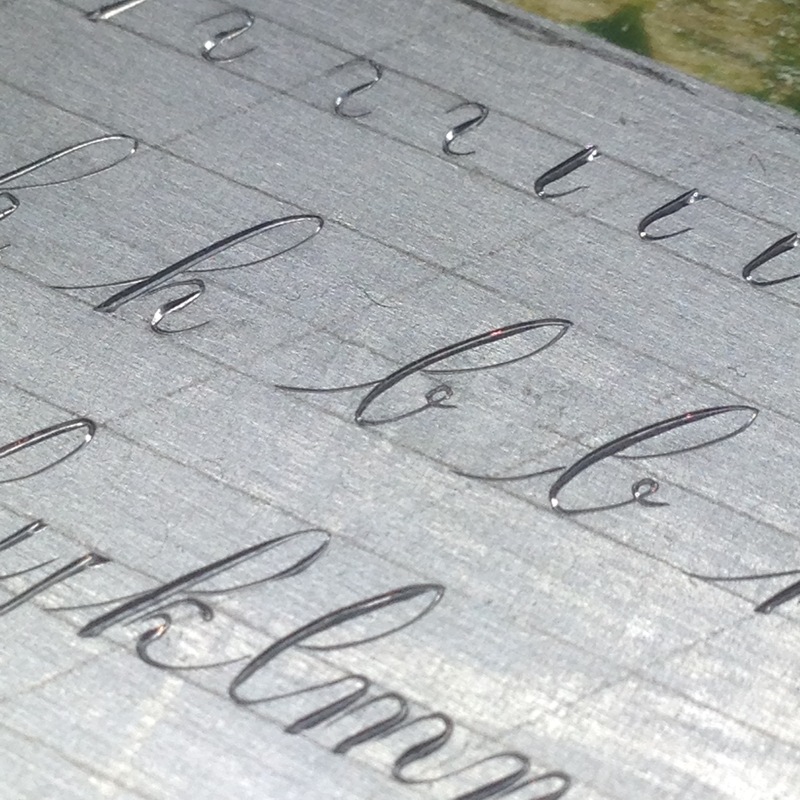 I was the only keener practicing with a pen and a graver! We lettered a quote and flourished a word. I used my name with the idea of someday using it as a logo!